When driving towards the Transkei, particularly between East London and the Kei River crossing, it almost seems as if you are entering another country. This, you can tell, is wild, untamed country. Whereas en route to Transkei you will travel through towns and cities much like any other in South Africa, when you get there these bastions of civilization are few and far between, with miles and miles of lush, unspoilt green fields and countless aloes lining the hills and valleys of this beautiful area instead. 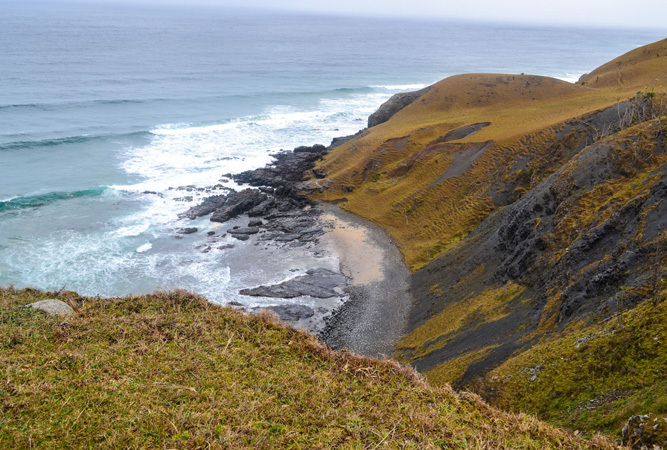 Having been an independent homeland, the traditional Xhosa stronghold for many years the Transkei retains a sense of difference and otherness, despite its reintegration into South Africa. 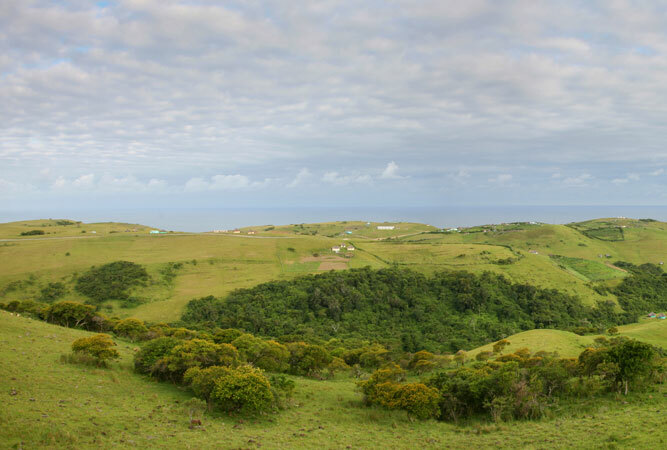 Still dotted here and there with traditional Xhosa rondavel kraals perched precariously on the slopes of the perpetually misty mountains and herdsman still to be seen watching the herds of cattle that symbolize wealth here, the Transkei can seem like a land lost in time. Right on the border, and fast becoming a millionaire’s playground, is the town of Cintsa. 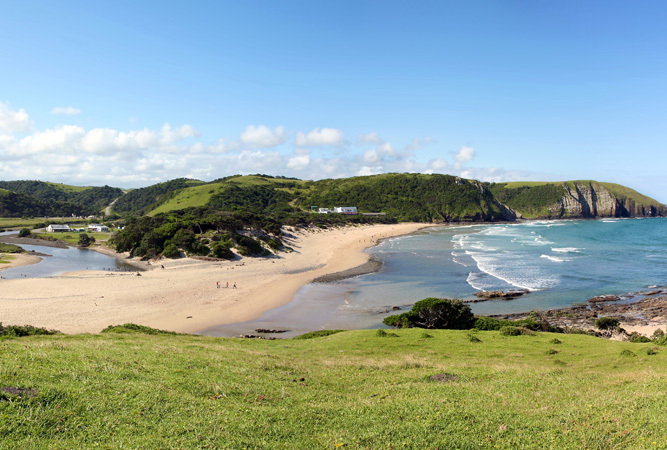 More westernised than most of the Transkei, the town is being rapidly developed and offers a slightly less wild experience than the rest of the area. Mthatha (formerly Umtata), the capital city of the area, is the only true city, with most of the towns being small. The architecture and layout of these towns speak of their roots as early colonial settlements. Many still bear names from that era; Butterworth and Queenstown to name two. This area was also the birthplace of many of the country’s political struggle heroes – Nelson Mandela and past president Thabo Mbeki, as well as other iconic figures, such as former Archbishop Desmond Tutu. The true attraction for most tourists lies on the coast however – in the heart of Pondoland and truly deserving of the name “the Wild Coast”. This coast line, easily accessible if one flies to Mthatha and drives down the narrow road leading to the sea, is lined with lush forests. Coffee Bay and Port St Johns have become tourist magnets, although anyone expecting hustle and bustle will be sorely disappointed. In this part of the world you are more likely to end up sitting on the deck of one the many excellent bed and breakfasts in Port St Johns, watching the Zambezi sharks trawl the coastline or spending time hiking, canoeing, surfing (if you are brave enough to risk those sharks) and soaking up the laid back, tropical atmosphere. 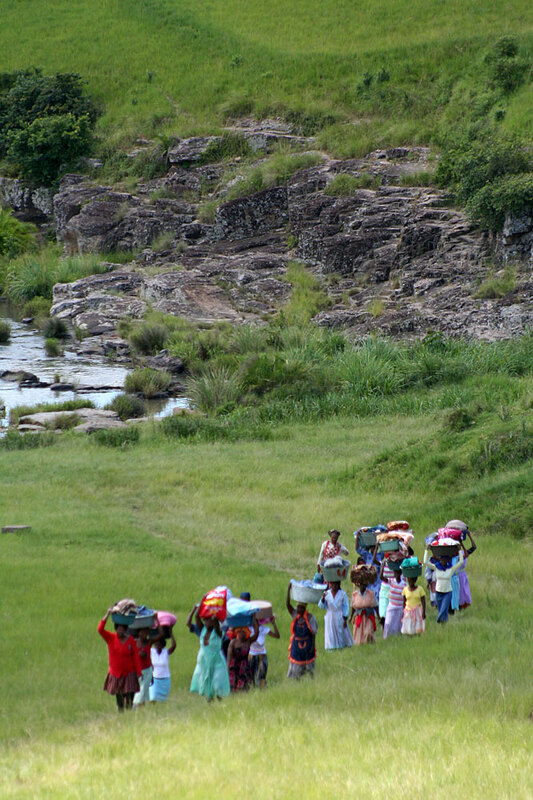 Visits to traditional Xhosa villages are on offer; as are museums and trips to sites such as Idutywa, the village where Thabo Mbeki was born. For the most part, expect relaxation, utter, hedonistic laziness, and possibly the ultimate break from the modern rat race. Tastes of traditional cuisine are on offer in most towns, however, from past experience, no matter how the moment takes you; avoid eating white mielies boiled in a paint can on the beach. Food poisoning is not a pleasant way to spend your holiday.